"Matt is definitely someone that believes in giving back. He participates in firm-sponsored fundraisers and volunteers his time as Vice-Chair for the Board of Directors for WILL (Wilderness Leadership and Learning)." At Raffa, we define our firm's success by our degree of impact - on our clients, on our staff, and on our community. The DO MORE AWARD is earned by the person who made the most significant impact on clients, the firm, our staff, and our community. It is an honor even to be nominated. There were 19 nominations for the DO MORE AWARD. A committee of six from across the Raffa firm - Audit, Marketing, Internal HR, Raffa Financial Services, Tax, and Human Resource Managed Services - reviewed the nominations and selected Raffa Financial Services' Matthew Roberts as the 2017 winner. 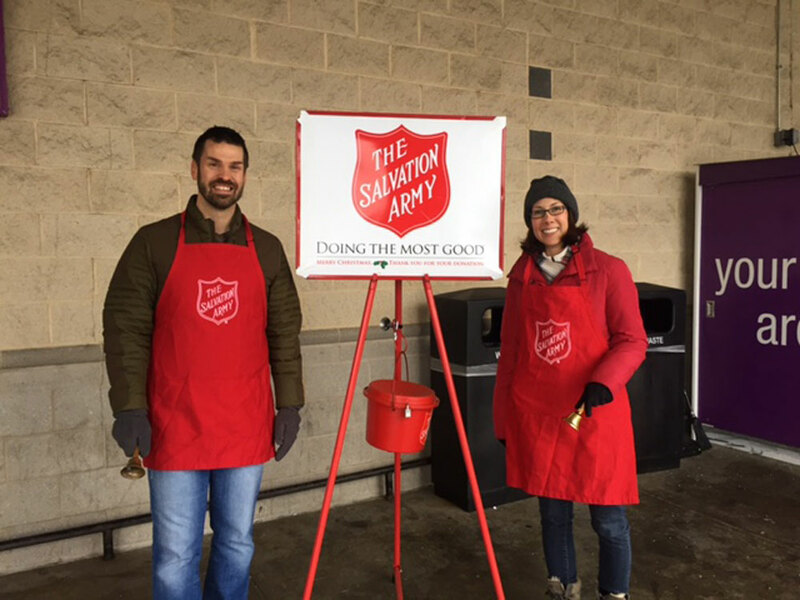 Matt Roberts and his wife, Elaina, ringing the bell! "Matt is a true ambassador for the firm. He has developed relationships with many individuals in different departments to pool ideas and leads." "Matt constantly receives high praise from his clients for going above and beyond to ensure that their needs are met." Previous: Conquer Your FOMO (Fear of Missing Out!) Join the MD Tech Council! Next: What's the Good News, Ladies?